Think outside the (subscription) box. How to build a loyal subscriber base with subscription box marketing tactics. You can pretty much subscribe to anything today — razors, makeup, prepped dinners and clothing styles handpicked just for you. The list goes on. If you’re in the subscription box industry, you know very well that it’s become saturated with curated boxes left and right. That makes it pretty difficult to stand out through all the noise. We get it — subscription boxes are booming and people love them! So, coming up with unique subscription box marketing ideas has become a challenge. In this article, we’ll dive into 8 ways (some you have probably thought of, and some you haven’t) to market your subscription box to the masses and keep subscribers happy. You have probably seen the thousands social media influencers scattered across Instagram and YouTube offering reviews of their favorite subscription boxes. This is a great place to start, after all, people listen to their favorite social media celebrities. Start here but go beyond just reaching out to social media influencers to market your box. There are actually subscription box bloggers out there that do this for a living — they go by Box Bloggers. These bloggers offer authentic reviews based on topics they love. Research bloggers with an established following and don’t forget to engage with their audience. Subscription boxes go beyond just the package. It’s about building a loyal community where you can share ideas, inspiration and new products. That value should flow through to your social media channels, too. Your channels should do more than post about a monthly box and what’s inside. Instead, the key is to engage and get your subscribers involved. We’ll go into more detailed below with user-generated content, but it’s absolutely necessary to acknowledge your customers — whether it’s through responding to reviews, comments or online inquiries. This might also be in the form of chatbots, like the Facebook Messenger Bot. 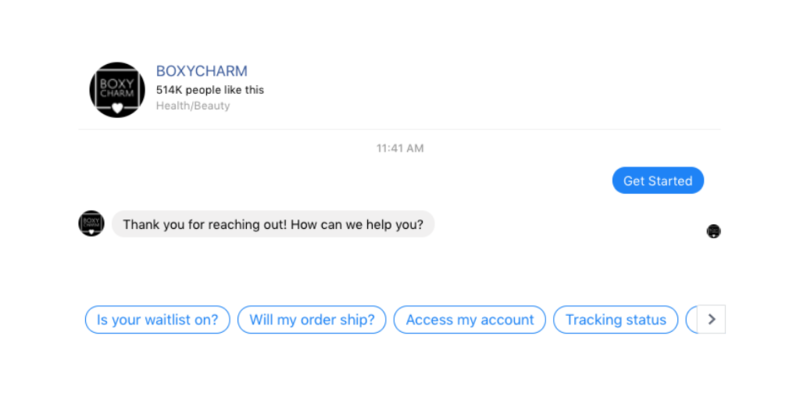 BOXYCHARM, a health and beauty subscription box, has a Facebook chatbot that establishes this loyal customer communication with ease from tracking shipping status to customizing boxes. Your biggest influencers are your customers. Leverage their ability to share new products and exciting new discoveries through their social media channels. One way to do this is by including a letter in their monthly box with an incentive (for example, a percentage off a monthly rate) to share a photo of themselves with their box to Instagram and use a specific hashtag. This not only strengthens your online community and gets your customers excited, but it’s a natural way to build awareness through your customers. This also depends on the type of market you’re in. For pet boxes, you might have customers submit and share a photo with their pet or Instagram videos of your customers trying out the latest recipe box they received. The ideas can only get more unique from there. Because the subscription business is booming, having competitive SEO measures in place will help you stand out and get found on the internet’s top search engines. That means throughout keyword research that also differentiates you from other subscription services. For example, if you’re a curation makeup box, going beyond a keyword like makeup subscription box and instead using monthly makeup subscription box with full-size products will distinguish your brand from the others. Think about what your target audience is looking for and how they’re looking for it on search engines. Use long-tail keywords, give all of your landing pages proper meta tags and don’t shy away from powerful imagery on your site. To get more subscriptions for your box, you can do the usual incentives like offering the first monthly box for free or a percentage off the first three months, but these have all been done before. Sure, start here as this is what customers are looking for but to really motivate customers, think outside the box, too. Offer an additional surprise product or small bonus box for the first 100 sign-ups each month. Give a discount code that slashes off the shipping costs. Lower the monthly price for a limited time to increase sign-ups. A percentage of proceeds from the first 100 sign-ups each month go to a charity of the user’s choice. The first 1,000 sign-ups during a limited time are entered for a prize draw for a product giveaway or limited-time discount. These unique marketing ideas only skim the surface of incentives you can test out on your customers. While it might be what’s inside the box that your subscribers truly care about — subscription customers are also attracted to boxes that are not only designed beautifully but are designed to withstand long delivery travels. With so many products packed into a small box, the last thing a customer wants is to receive a broken product. Invest in package engineering that makes your box practical, functional and attractive. Investing in good customer service these days is the difference between a thriving business and one that fails. 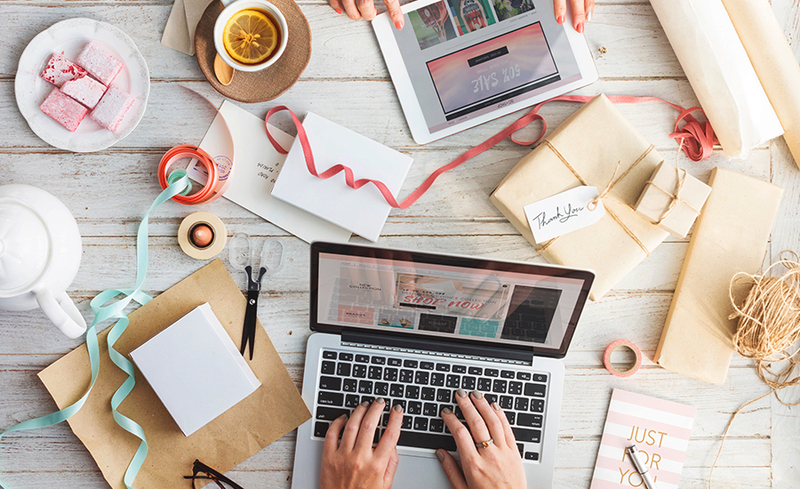 When it comes to the subscription box business model, customers want your business available 24/7 to answer their questions, solve their problems and address their needs when they arise. This could be anything from delivery or tracking shipments to inquiries about monthly product curations. In the age of always-on customer service, having live chat functionality is an easy win to keep your subscribers happy. Additionally, the subscription box model is very tech-focused, so having customer service readily available from your social channels is a must. We mentioned chatbots earlier — these tools have become essential to establish solid customer service. They offer ease of communication in the event that a human isn’t readily available to chat. Your target audience can always become more refined and perfected to improve your overall marketing strategy. In many cases, companies don’t have a solid understanding of who their customers. Can you truly answer which proportion of your customers are female? Do you know how many are over the age 24? This is where an audit comes into play. An audit gives you an understanding of not necessarily who your audience is, but more of an idea of how to better market to them. Marketing works differently across all ages and gender. For example, 54 percent of women have purchased a product after seeing it in an influencer’s post but men are not as easily persuaded. Women are attracted to brands while price tends to impact men’s decision-making. So auditing your audience isn’t only about understanding them, but more so understanding how to resonate. Start by looking at your social followers. You can also send out customer surveys to understand who follows you. Let us know if you need help marketing your subscription box to reach more subscribers and increase sales.